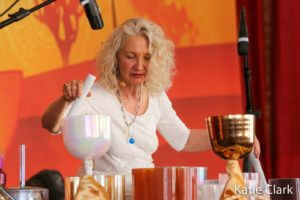 Do you ever wonder how kundalini yoga creates the perfect alchemy that triggers transformation within you? Let the musicians of Sat Nam Fest reveal the secret alchemical formula. 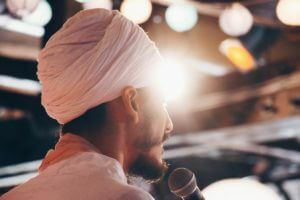 Once upon a time, Yogi Bhajan taught us to be aware of our connection to the elements. He gave kriyas and meditations to balance the elements within the body and be in harmony with the elements outside the body. Since ancient times, yogis meditated in nature to balance their system with the elements so that they could eventually merge with the elements. Devoted yogis spent years in caves to master the Earth element. Sages traveled to the Sacred Ganga to bathe and meditate in her waters. Guru Nanak—the Guru of the Aquarian Age—achieved enlightenment submerged beneath the River Bein. While we may not have a cave or river nearby, we do have the musicians of Sat Nam Fest. Their songs offer connection to the elements. When they come together at one festival, the collective energy guides us to inner bliss. And we come away from the festival inspired to live to our excellence. Let’s take a few moments to contemplate the elements and the ways that these musicians all fit together to create a feeling at Sat Nam Fest of total unified consciousness. The electronica duo Feather & Dot blends ambient psychedelia with classical Indian music. They resonate the primal call of the dance hall. With them, repetition of mantra unites with the grandeur of rock music. 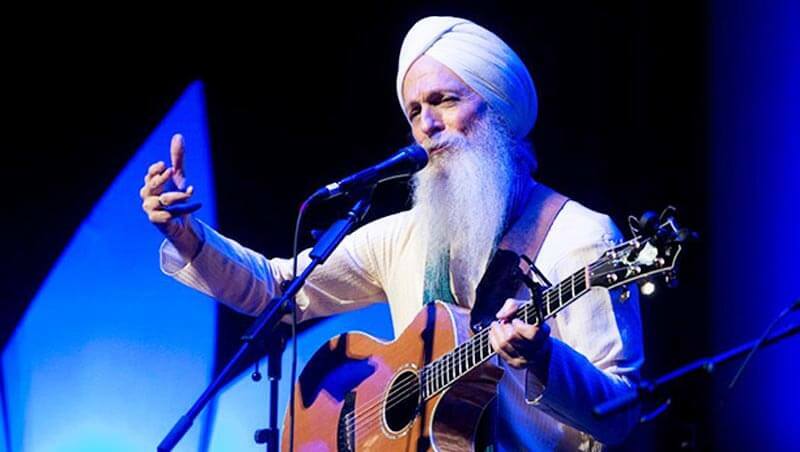 Guru Singh is a legend in the Kundalini world; as a first-generation student of Yogi Bhajan, his music has been guiding people to befriend their souls for ages. Another legend, the GuruGanesha Band projects pure, elevated spirit and joyous sense of humor. Dharm Singh’s expression of the divine offers you a connection to your soul through every note. Each of these musicians offers grounding, connection to The Source, crystalized love, and gratitude for our spirituality, our sensitivity, our planet, and our prayers. With them, we see God in all; and we bow in sacred connection to the One. Each a solo artist, Harnam, Hansu Jot, Sirgun Kaur, and Sarah Calvert connects us in their unique ways tocreativity. Their music keeps us in divine flow, gives a cleansing bath, and releases wave motions through our bodies that venerate the Adi Shakti and awaken the Goddess within. Harnam is often compared to Bob Dylan and Eddie Veder with guitar and voice that enchant us. But what’s more is that he projects the sense and heart of a true artist, and his presence makes us aware of our own intuitive creative force. Hansu Jot is mystical and bold; his voice achieves rare, delicate masculinity that awakens Narayan within our every cell. He rouses immaculate consciousness with gorgeous piano riffs. Sirgun’s music brings tears of joy to many eyes with her pure tenderness. Her exquisite song Akhan Jor inspires absolute humility and complete trust in the divine. Aykanna, Krishna Kaur, Gurmukh Mark Harris, Leonardo Har Prakash awaken the willful, active, most commanding, masterful, and powerful forces of consciousness. 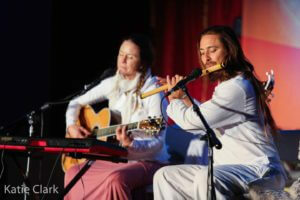 They are musicians whose work can help transform all negativity into energy that can serve the highest good. Their music teaches us to use our challenges as fuel to give off warmth and light to heal ourselves and others. When we sing along with them, we are the light and the light house. Aykanna’s music is strong as steel and steady as stone and honors the divine feminine. Krishna Kaur creates music that infuses everything with deep, soulful longing and authentic grace that inspires our ability to serve. Gurmukh Mark Harris brings San Francisco Bay spirit, turns Rhythm and Blues into Rhythm and Bliss, and conjures deep African spiritual wisdom. His music will bring out the Patient One within you. 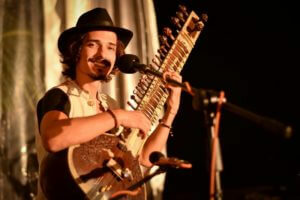 Leonardo brings the combination of Mexican Folk, classical Indian, rock and roll, heavy metal and electronic music, a combination that is eclectic, diaphanous, and will set your soul on fire. Sukha, Bachan Kaur, Jaya Lakshmi and Ananda in their various styles invite the Pavan Guru, the breath as teacher, and connect us to the Primal Breath that makes us feel weightless and full of ease. Sukha is known for their courage to introduce the energy of spiritual music into the mainstream reality. They bring folk-rock influence together with the sacred to create a moving experience that is poignant, sincere, and full of tenacity. Bachan Kaur has a voice that is intimate, honest, and full of resilience. Her songs give voice to innate divinity that she senses in each hue-man being. Her music is great for relaxing, as if in a jazz lounge; or also can give courage when we need to rise up to be brave. Jaya Lakshmi and Ananda will inspire you into sweet surrender. To hear their song “Altar of Love” live in concert is to meet the Beloved Creator. Crown of Eternity will awaken the mystic within us. He takes listeners on sound journeys that bring us into spontaneous play with angelic energy. Ashana brings the Angels to you with her ethereal voice and the vibration of sound that she envelopes you in. 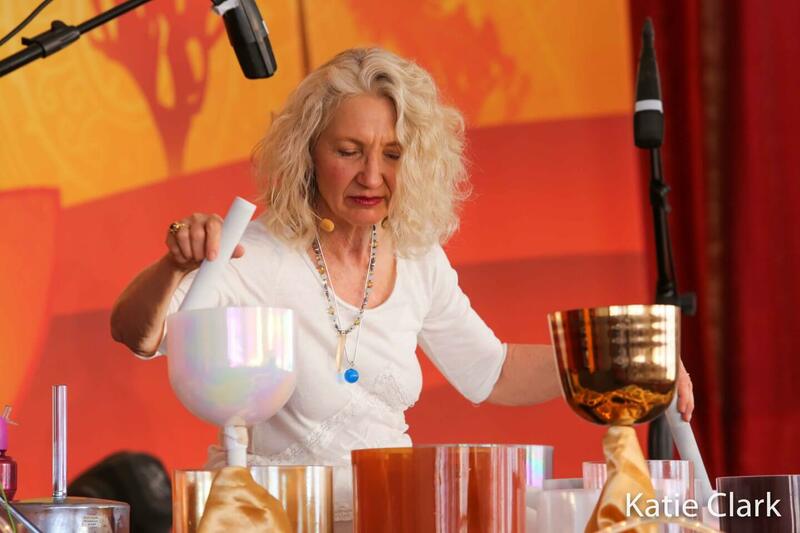 Nirinjan Kaur guides us to breathe deeply while she brings the ethers to connect to the inner wisdom of our hearts. Mirabai Ceiba will charm our whole being into prosperity, kindness, and ecstatic union with the divine. Livtar Singh has a sweet and gentle way of rocking the soul into a rebirth of consciousness where our own radiance can dispel all pain and sorrow. All these musicians provoke our intuitive poise and connection to the divine that is ever-rising in an endless moment of wonder and awe. 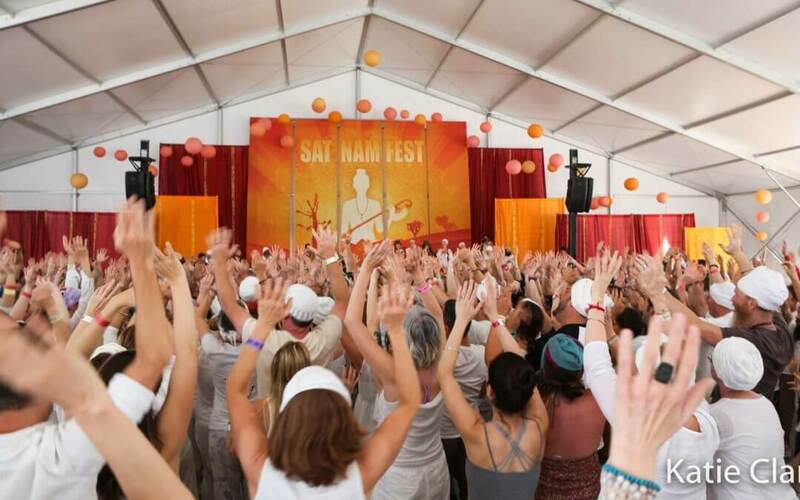 Sat Nam Fest offers you not only a phenomenal line-up of sacred music artists, but a gathering of a real family of light beings who live in service and feel simple gratitude for Life. Come home to your heart at Sat Nam Fest, where your heart will synchronize with every musician’s heart. Let us beat one rhythm that will weave the elemental and the cosmic into one glorious, Sacred Heart Song dedicated to the Beloved One! Sat Nam!